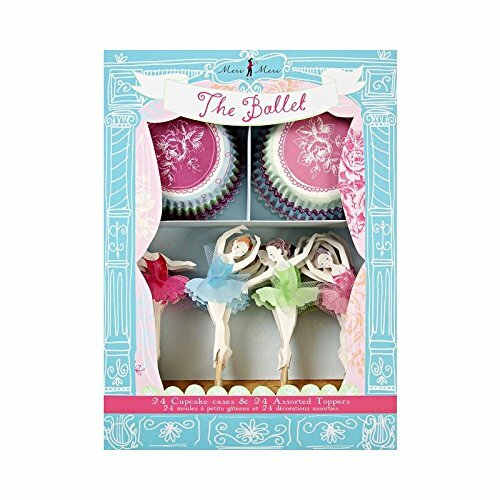 Perfect for a celebration with dancers this cupcake kit comes with two styles of bake case and four individual dancer toppers embellished with sheer fabric. The set comes win a stylish presentation box. If you have any questions about this product by Ballet, contact us by completing and submitting the form below. If you are looking for a specif part number, please include it with your message.